Time+Tide Watches asked their editors, shortly before the start of BASELWORLD: If you could only wear just one watch for the rest of your life, what would it be? Felix Scholz picked the ochs und junior perpetual calendar…for the second year in a row! 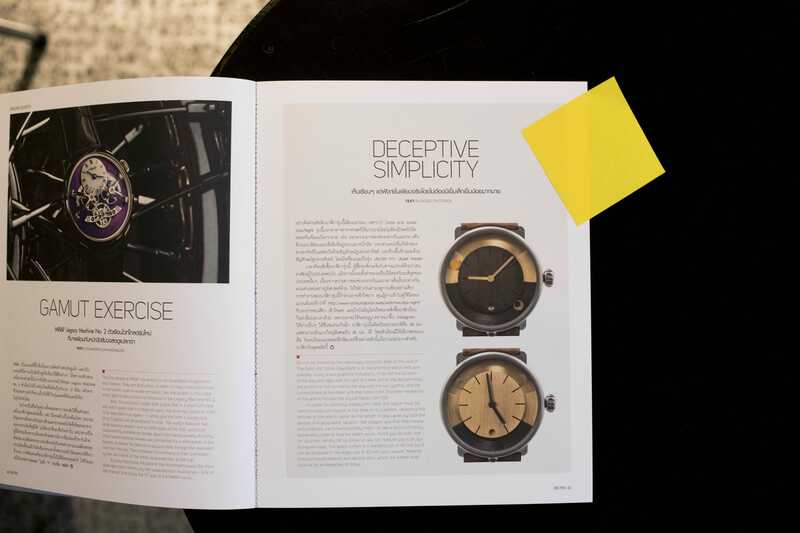 In 2013, HODINKEE founder Ben Clymer visited ochs und junior’s workshop in Lucerne, and afterwards wrote the first in-depth article about us in this already authoritative watch publication, declaring: ochs und junior just might be the coolest watch company in the world. … If you want a high-end independent watch, this is it. If you want a watch built just the way you want it, this is it. Today HODINKEE published a new article which linked to this original article, as part of their Sunday Rewind: The Road To Basel (Six Years Later!) series. It also includes a video narrated by Beat Weinmann. We hope you enjoy it! The fall and resurgence of the Swiss watch industry: Hansjürg Zumstein has produced a new film about how the Swiss watch industry was saved following the Quartz Crisis. The film was broadcast on Swiss television (SRF) on Thursday evening and is well-worth watching. The documentary’s premier was on Monday, 4. March in Grenchen in front of a full auditorium. Afterwards, Dr. Hanspeter Rentsch (former chief lawyer of the Swatch Group), Beat Gilomen (movement maker for the Swatch Group), author Bettina Hahnloser and ochs und junior CEO Beat Weinmann discussed these critical times and what emerged from them. German: article in the Grenchner Tagblatt covering the premier which includes a photo of Weinmann / the film on SRF. YouTube: two time zones + date on “Armand the Watch Guy”! Introducing two time zones + date by Ludwig Oechslin. Happy Valentine’s Day! New images on the Watches page (closer crop). The February 2019 issue of WOW, Thailand’s premier watch periodical, features the first article about ochs und junior in Thai! You can find our holiday hours on the Contact page. ochs und junior now has English and German Wikipedia articles! Many thanks to our customers in Germany who wrote these articles. Of course, everyone is now welcome to further edit the entries. Here are the Wikipedia links: ochs und junior (EN) and ochs und junior (DE). New homepage photo: perpetual calendar (Blue patina). The Swiss Federal Office of Communications (BAKOM) updated their Why dot.swiss page to feature a quote from Ludwig Oechslin and Beat Weinmann last week. The page also links to the wonderful video they made about ochs und junior in 2017. ochs und junior was the first Swiss watch company to receive a .swiss website address. Yesterday “The Watch, Thoroughly Revised” was published. This is the second edition of “The Watch”, a book widely considered to be the top English survey of men’s wristwatches – and a book which Cail purchased, many years ago, before he moved to Switzerland to join ochs und junior. 50 watch brands, including Rolex, Patek Philippe and all of the other leading watch companies, have profiles. And so does ochs und junior, on account of the innovations of Ludwig Oechslin. The moon phase, date, annual calendar LIGHT, and perpetual calendar are all featured, and there is also a profile of Oechslin. Our copy is on its way, and we’re looking forward to it! New homepage photo: 36mm wrist shots. Presenting the 36mm annual calendar! Our press release features 12 high-res photos, and you can also read the article by Stephen Pulvirent on HODINKEE! New homepage photo: perpetual calendar – Reference. New homepage photo: Ed Tonkin’s day/night. New homepage photo: Jason Fanoe’s moon phase. Sunburst patina 2…ready in Lucerne! New Watches page, new homepage, and new navigation. We are grateful for your feedback. You can send your thoughts directly to Cail Pearce. For our German-speaking visitors: last week one of our customers posted a fascinating report about his new moon phase watch in the SINN-Uhrenforum. ochs und junior is hiring! We are seeking an administrative assistant to join our small team in Lucerne. Details are on our German website. Introducing the ochs und junior day/night by Ludwig Oechslin! Get the overview, watch the videos, read the press release, discover the new thought posts, browse the 4 watches ready in Lucerne, and customize your own! Kevin Blanc / LAUSCHSICHT AG and Beat Weinmann. Personal ecommerce! Now you can securely purchase your ochs und junior directly on our website. The Buy buttons on Store and Customizer pages start the online checkout process. Within 24 hours of your purchase, cofounder Beat Weinmann will personally email you to discuss your strap, delivery date, and special requests. Our Purchase page has been updated to reflect this new payment option. Yesterday we made our first Instagram post… 😉 Much more to come! Follow us on Instagram. Jack Forster references Ludwig Oechslin’s unique fluency in both “mechanical maximalism” (the Trilogy of Time for Ulysse Nardin) and “ruthlessly pared down minimalism” (ochs und junior) in his latest HODINKEE article. 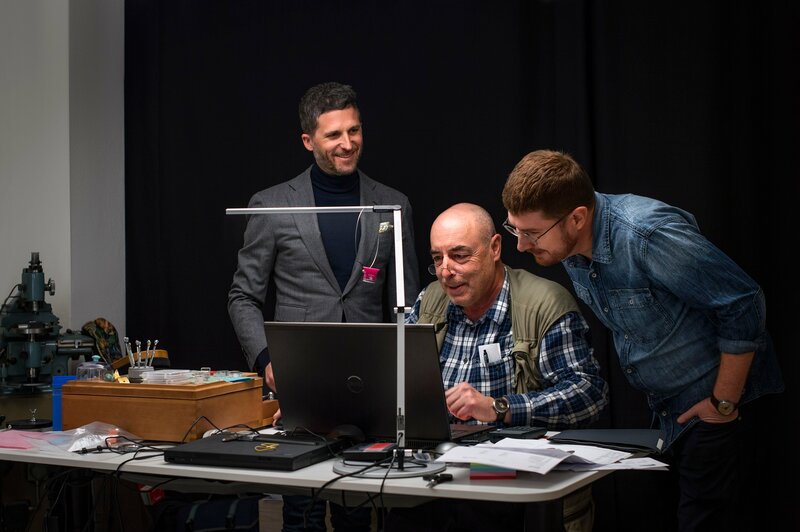 The Swiss Federal Office of Communications (BAKOM) made a press release on April 10th which mentions ochs und junior as the first Swiss watch company to have a .swiss TLD. BAKOM refers to ochs und junior as the “innovative Lucerne watch maker with an international customer base”. In our Blog, you can read why we made this change (.swiss), and also watch the video BAKOM commissioned about ochs und junior (A .swiss Success Story). Last night we moved our website from an Amazon Web Services “C4.large Instance” to a new “C5.large Instance”. There was no downtime. C5 Instances are the latest EC2 instance type from AWS. They are powered by 3.0 GHz Intel Xeon Scalable processors which offer up to 50% higher performance on certain applications. The performance improvement can be felt across our entire website, but especially on the customizer and the “Print 1:1” features. Ludwig Oechslin and ochs und junior were recently featured in the German newspaper Die Welt: Auch unter Uhrmachern gibt es Freelancer – und die sind gefragt. Ludwig Oechslin and Cail Pearce will be handling ochs und junior’s day-to-day business while Beat Weinmann is on vacation (updated Contact page). Last night on YouTube, we came across a song called ochs und junior by ŁJK. Google Translate helped us with the song’s description: “It’s all a matter of time, so you have to measure it precisely. But not just anything.” Wszystko kwestią czasu, więc trzeba go zmierzyć dokładnie. Ale nie byle czym. We think we recognized “ochs und junior” around the 02:10 mark, and also possibly Patek Philippe, Zenith and Moser. In any case, we’re honored ŁJK chose ochs und junior for the title. If one of our Polish-speaking visitors could help us understand a little more, we’re curious! An ochs und junior was spotted in the wild by a watchuseek forum member. He was extremely impressed! Several owners show their watches on the thread. The Neue Zürcher Zeitung, Switzerland’s newspaper of record, featured Oechslin’s two time zones watch in its collection of 15 new classics today. Earlier this month, a group of German business managers made a grand tour of Swiss watch companies. Their goal was to understand how Swiss watches are made today and to exchange ideas about business and entrepreneurship with the CEOs. Their trip led them to the Vallée de Joux, Geneva, Biel, and Schaffhausen, where they met with the CEOs of IWC, Audemars Piquet, Chopard, and MB&F. It also brought them to Lucerne for a watch company quite a bit smaller by any business measure. The homepage now provides the following information for each watch: functions, base movement, available diameters, starting price, and an example execution. The “Watches” page is the ochs und junior homepage – we immediately show what we are about. Your feedback is always welcome. Two small website changes: first, the menu now displays in two columns for viewports wider than 1100px. Also, text and images on the News page now display up to 760px wide. You might need to refresh your browser to see the changes. Cail Pearce welcomes your feedback, as always. Jack Forster’s article on the history of astronomical complications in Vol. 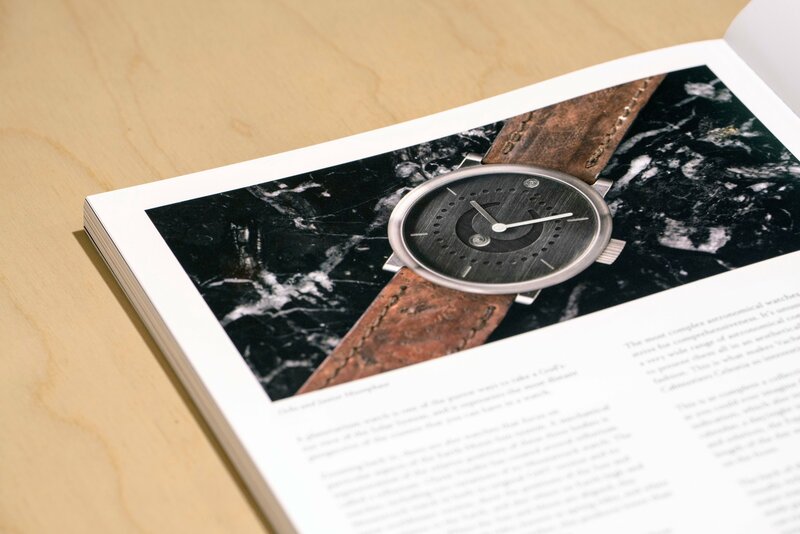 1 of the HODINKEE magazine features Ludwig Oechslin’s moon phase watch (39mm German silver). Impressions from Rolls-Royce at ochs und junior. Press information from Rolls-Royce about ochs und junior. New impressions from Rolls-Royce at ochs und junior. New content and links for the QLOCKTWO Lucerne post. Press release — Assemble a perpetual calendar…yourself! We have updated the News page so that we can include images. 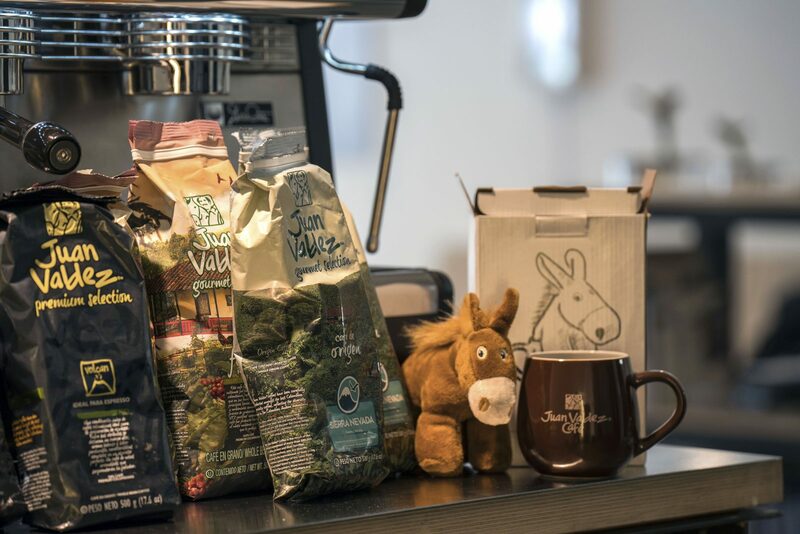 The timing is perfect, because we also just received a gift from our special customer in Colombia…the espresso is delicious! Vol. 1 of the HODINKEE magazine should begin arriving today. The ochs und junior moon phase is featured inside! Links to Facebook and Twitter on the Contact page. oj4.1: New homepage, new menu, new image formatting, and further speed improvements. Robb Report — ochs und junior perpetual calendar! Second disk option for annual calendar, moon phase, date and two time zones customizers. New high-performance web server. The speed improvement is most noticeable on the customizer, Print 1:1, and the Blog. For viewports larger than 1449 pixels wide, the menu now displays in a larger font size. The Wasser für Wasser thought post has been updated. Customizer bookmarks! The URL now changes dynamically while you customize your watch. Explore ochs und junior’s history in the Blog.